The sport of endurance riding is only a small segment of all equestrian sports nationally and worldwide. 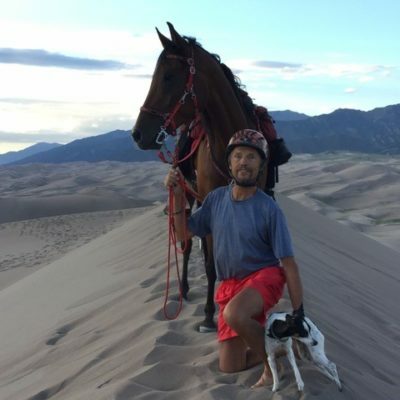 Maybe 5% of all equestrians engage in endurance. Attending the AERC Annual Convention, one gets the feeling that endurance riders are the center of the horse world. This year's AERC Convention was held in Dallas, Texas. New AERC officers are being sworn in during the general session at the convention. Endurance riders from the country and abroad came together for two days of seminars, various board and committee meetings and a trade show that gave participants a glimpse of new products on the market and also the opportunity to buy equestrian products, from EasyCare hoof boots to Vettec glues and various saddles. Specialized Saddles was well represented. EasyCare, Inc. is a Platinum Sponsor of AERC and the Official Hoof Boot Company of AERC. 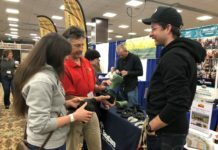 In the photo above, Larkin Greene from Vettec Company is explaining gluing Easyboot shells on a model hoof during the trade show. 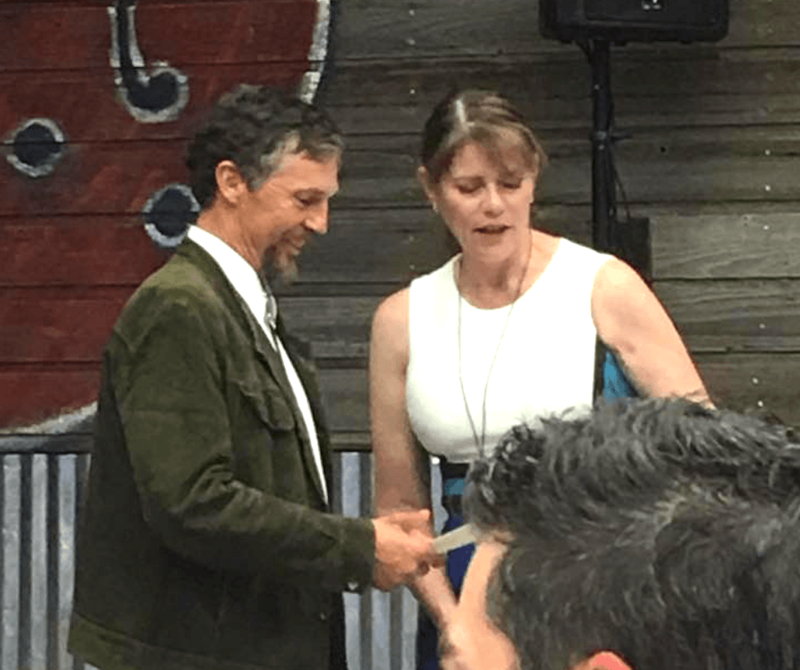 David Kaden and Tracy Webb, owners of Specialized Saddles, are presenting the Rookie Award to the Rookie of the Year. Specialized Saddles made and donated the saddle to the Rookie with the highest achieved mileage in 2016. After the awards banquet, national awards achieved during the 2016 season were presented for the winners of various categories. I had a very successful year competing mostly on mares of Global Endurance Training Center. Among the most coveted awards is the War Mare National Award. The three mares I was riding placed 1st, 2nd and 9th among the top ten mares in the country. The War Mare Award is bestowed to the mare with most points accumulated throughout the ride season. These mares also were in 2nd and 3rd place in the National Best Condition Championship standings. 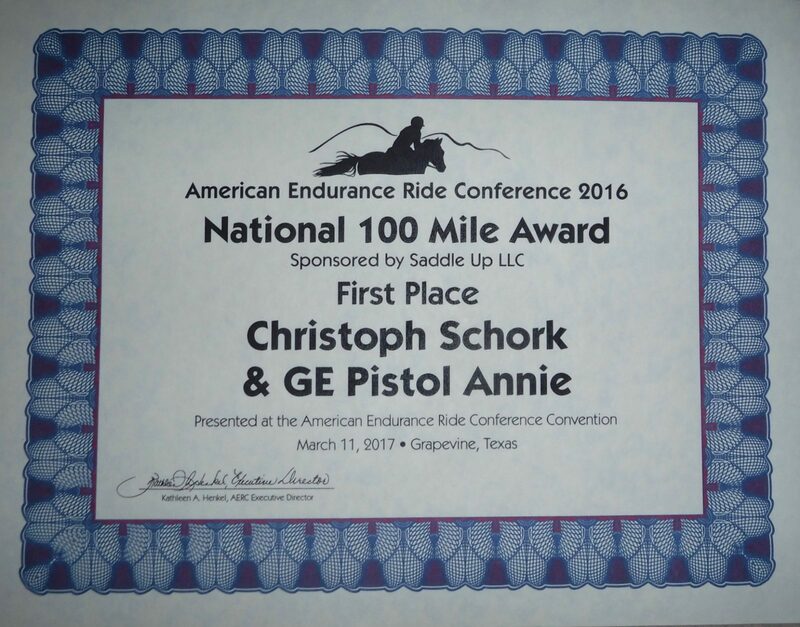 The most prestigious award, the National 100 Mile Championship Award, I achieved with GE Pistol Annie. 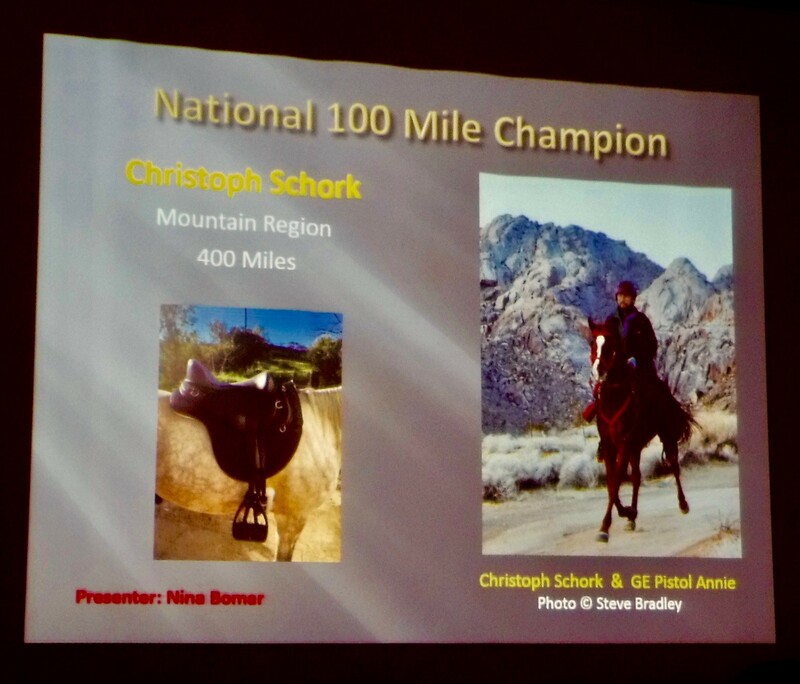 She also won the AHA Half Arabian 100 Mile Championship title. In addition, these three mares took the top three spots in the Mountain Region Point and Best Condition Championships, respectively. 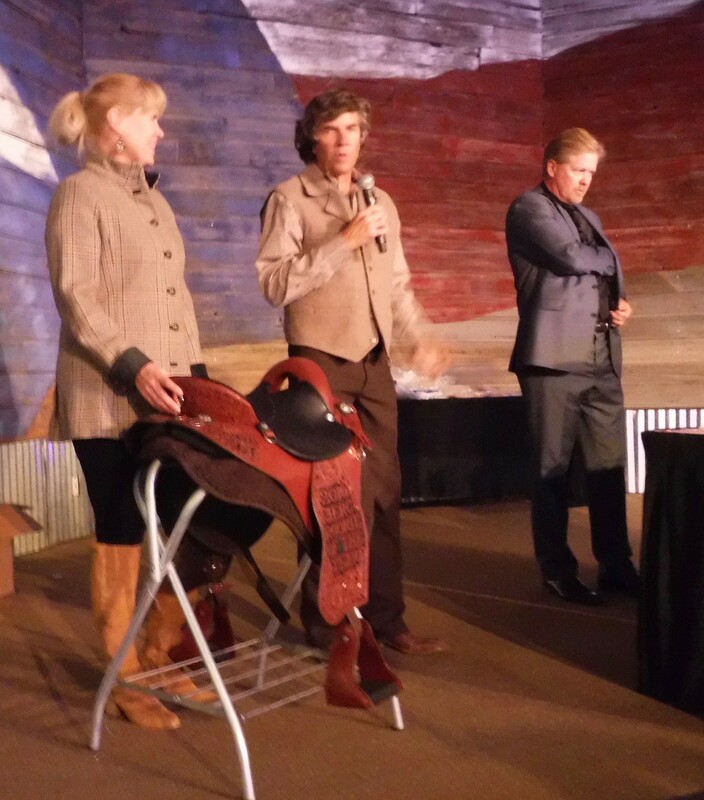 As the winner, we received a new Freeform Saddle, donated by Paulita Neff from the Treeless Saddle Company. Receiving the National Championship Award by Susan Garlinghouse. Why is this all significant? And what do all these mares I rode in 2016 have in common? These winning mares were ridden all season long with EasyCare hoof shoes and hoof boots. 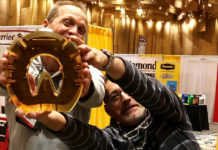 To be successful in these national competitions, a rider has to pay meticulous attention to every detail all year long: from nutrition to training and conditioning, from chiropractic work to dental care, from saddle fit to hoof trimming and hoof protection selection. The hoof protection of choice were EasyCare Glue-ons for GE Pistol Annie, Flip Flops for Medinah MHF and a combination of EasyShoes and Glue-ons for GE CCDRUS Star. 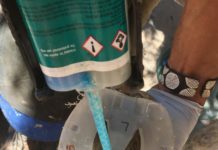 I do not believe that we would have had that level of success, would it not been for the use of the EasyCare hoof protection. These superior products protect the soles, dampen the concussion for the joints and are lightweight. The horses can travel with more ease and comfort over rocks and hard ground. As we have seen so many times in the past, EasyCare is leading the charge again and can always be found at the forefront of research, development and success in the world. 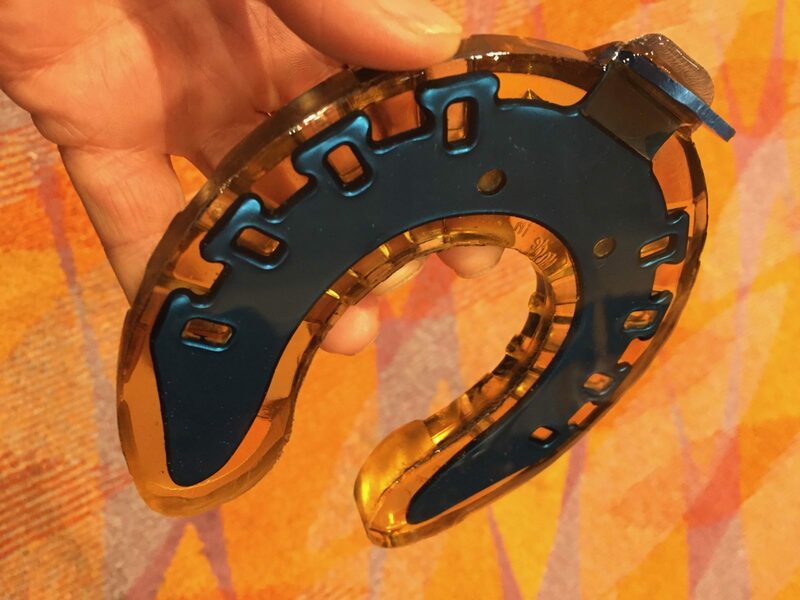 Here is another example for the spirit of innovation that has been demonstrated by EasyCare over the years: this new EasyShoe Flex pictured below will be released soon! I wrote in my blog last month about this exciting EasyCare product. I have been testing this new shoe for a while now and I am thrilled about it. Next articleRoger Hoefs! After 8,000 Days, Time Has Told! Open Nailing Slots – Why Are They Important?